WhatsApp stopped working on your Android device and you are seeking for a solution? We are going to provide some information for you on this page. If the application doesn’t run at all at your device, it means you are in trouble. You have a few things to do with that and we will provide solutions for you on this page. If you have any questions, you can ask through commenting this page or using out question service. If you are having problem after the update, please check our related solutions for that. WhatsApp Does not Work on Android Phone or Tablet! How to Fix? Installing application from unofficial resources and 3rd party resources. Another application may run at background and blocking other applications. Some app files can be broken. In some devices when you reinstall an application, you can get these error. Before telling solutions which you can apply, we recommend you to try stop the application and clear data and clear cache. If you have installed WhatsApp from unofficial or 3rd party resources, the application won’t work for you. So you will need to reinstall it. 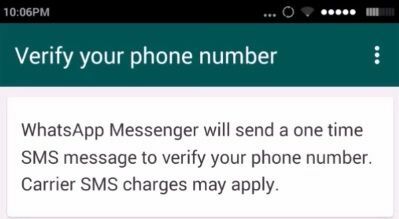 You can learn how to reinstall WhatsApp Messenger in our guide on How to Chat Online. These applications can always block other applications to work. If you have such apps, we recommend you to stop it. If you don’t know how to close these applications, use a cleaner application. Sometimes application files can be broken. If you think that your files are broken, you will need to reinstall the application. Sometimes reinstalling an application may cause you to get errors. Especially in old style phones. If you are getting this error, you will need to use a file manager app. After you uninstall the application, clear all remained files from your device and install application from Google Play. I am using Samsung Galaxy S4, WhatsApp was working well until yesterday. Now it keeps crashing on my phone! What should I do for fixing crashing problem on my device? If WhatsApp crashing on your Samsung Galaxy S4 device you will need to do following steps on your device. Our steps will start with easier ones which you can apply on your phone. Run WhatsApp application on your device and close it for 3 times from the taskbar. Finally run WhatsApp Messenger again. Check if you have the problem again. If this didn’t help you please check step 2. If you see that your storage is almost full, please clean some files and unused applications from your phone. Close your phone fully (power off) > Press and hold power button, volume up button and home key until you see boot starting (You will see a text as “Recovery Booting” > Select “wipe cache partition” touch on “Power” button > Wait until you see “Cache wipe complete.” text on your device. > Reboot your phone. Reinstall WhatsApp application from Play Store. Please ensure that there is not any application working on background. If you don’t know how to you can install a cleaner application from Google Play for that. Clean Master is a good application which will do this job for you. However we recommend you to remove these applications after you do the job since they can block notifications of WhatsApp.